South Wales including Blaenau Gwent, Bridgend, Caerphilly, Cardiff, Merthyr Tydfil, Monmouthshire, Newport, Rhondda Cynon Taf, Torfaen, Vale of Glamorgan, Monmouthshire, Swansea. 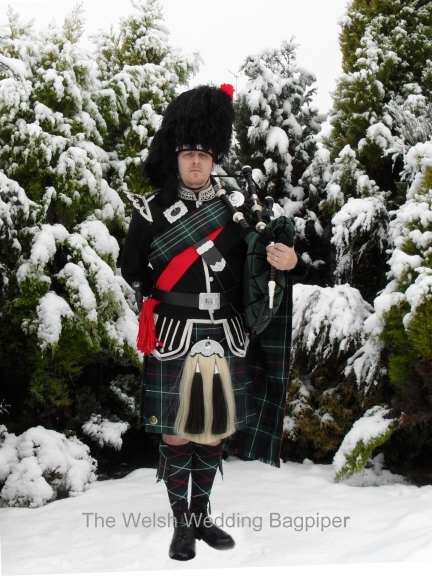 Matthew has many years experience playing the bagpipes at various types of events, including weddings, parties, funerals, Burns suppers and corporate events. He has played at the Royal Albert Hall, Wembley Arena, The Celtic Manor Hotel and even piped on the Severn Bridge crossing.